OneStopHot: Do You Need a Dating Boot Camp? Do You Need a Dating Boot Camp? Are you tired of dating? Tired of meeting the wrong person? Monty and I have a great working relationship, but we are each looking for a relationship that works. ...Applicants???... Millions use dating services but aren't experiencing the full potential of each connection. They aren't in dating shape, so aren't dating smart … getting a first date, but not the relationship. 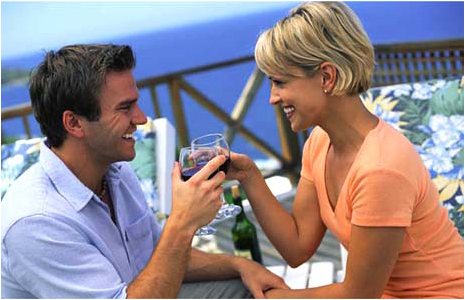 I Date Smart offers a 30-Day Dating Boot Camp to teach people how to attract their ideal mate! I Date Smart is also offering a complimentary 30-minute teleconference the week of April 25 called "Get in Dating Shape." To sign up...read more. ...email Relationship Expert, Shari Mindlen at shari@idatesmart.com or call ...415. 385-4462. We are! When we work out on the same machines, we use the same muscles and eventually we plateau. Our bodies recognize the same exercises, and the habitual workout doesn’t give us the results it once did. When we hire a personal trainer or incorporate new exercises into our workout, our bodies quickly adjust and these new exercises enhance muscles that were lying dormant. The body we were looking for suddenly shows up with a few slight adjustments to our workout routines. The same applies for dating. When we date the same way by showing up with the same hurt ego from past relationships or poor communication skills we don’t even know we have, we attract or repel the same people. We get into a dating rut where we can't get a second date with the people we are attracted to, or we get into a relationship that is reminiscent of one we had in the past. The I Date Smart 30-Day Dating Boot Camp is designed to help people get in dating shape, so they may make the most of every connection. Focus is placed on boosting self-confidence and improving communication skills to help clients attract their ideal partners. Shari Mindlen, the I Date Smart Relationship Expert, offers complimentary 15-minute telephone sessions. Call anytime at (415) 385-4462 to get her advice on relationships and dating. We found that she has insightful expertise, and she has helped women and men, straight or gay, learn how to effectively attract their future mate. Find out more or sign up for the newsletter at I Date Smart.